Surely we’ve all spent a few agonizing moments wracking our brains trying to remember the name of a restaurant or bar we enjoyed, not to mention those moments when serendipity or happenstance led you to a place you’d like to visit again, but that you have never been able to rediscover. 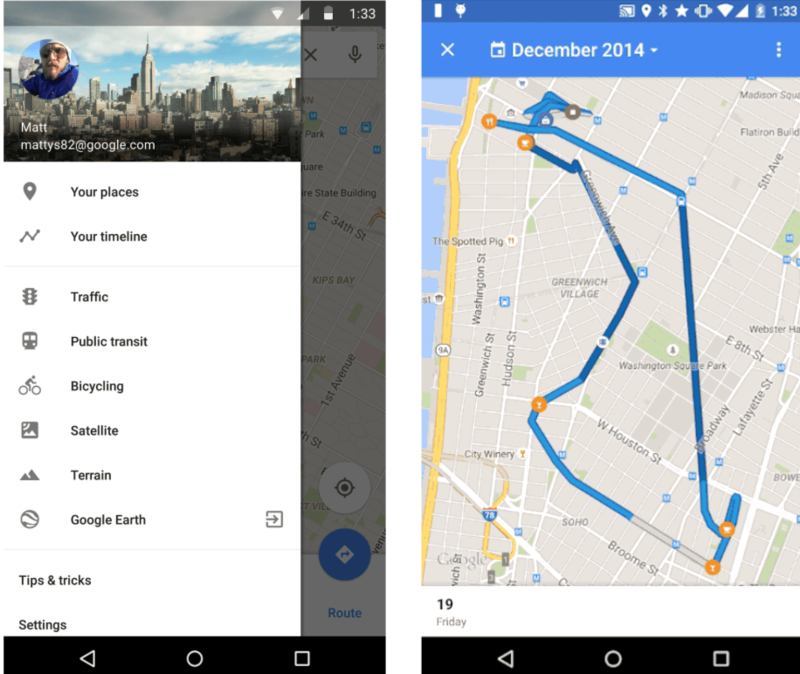 Google Maps can now help you retrace your steps with Your Timeline, a tool that helps you remember everywhere you’ve been. Both extremely marvelous and insanely creepy, Your Timeline maps out the places you’ve been, the route you took to them, and the photos you snapped along the way (for those also using Google Photos). It only works if you’ve opted-in to store your location history with the all-seeing-all-knowing Internet giant. Literally having your every movement and location automatically mapped out and stored might be a little too much tracking for most to feel comfortable with, but for those who don’t mind, this could be a handy reference tool for urban explorers who like to wander around cities. Another application could be for older folks who whether or not they are under care, nonetheless sometimes wander off or have difficulty remembering their day-to-day whereabouts. Either way, it’s a handy tool if you’re willing to trade off some of your privacy. Could the next Apple TV remote come with a finger print scanner?